Earlier this year Google announced that they were stopping production of their Google Glass prototype. But that doesn’t mean that progress in the world of the Smart Glasses has been stilted. Far from it. For one thing, Google is still working on the development of their Google Glass. Although it’s no longer on the shelves, and production has ceased, it doesn’t mean that some version of Google Glass isn’t on the agenda. Although we’re still in a stage of mere speculation, it’s been suggested that Google Glass version 2.0 could be coming soon. In any case, Google’s not the only company in the Smart Glasses mix. Like any other sort of technological emergence, progress happens slowly, and it happens at various sources. Nothing happens in a bubble. And especially considering that Google Glasses were included in a list of Time’s best inventions of 2012 (along with the Curiosity Rover), it’s no wonder that other big players have decided to jump into the Smart Glasses segment. When speculation surrounding Smart Glasses first hit the market, interest was at fever pitch. We're well aware of Google's association with Smart Glasses, widely considered the first significant brand to fully develop a prototype, promote it to the world and put it into production, but it didn't take long for competitors to start snapping at their heels. 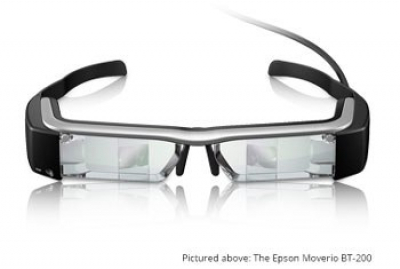 Epson Australia is one (rather unlikely) competitor in the game of smart glasses with the Epson Moverio BT-200 Smart Glasses, powered by Android and now on sale. Another is the Recon Jet (a pretty cool name if you ask me), a type of smart glasses that’s already looking to get a niche position by targeting those living an active, technologically connected lifestyle. In September last year Sony also announced that they developing an augmented reality wearable Smart EyeGlass, and at that time of the announcement opened the doors for developers to start creating apps for this new wearable. 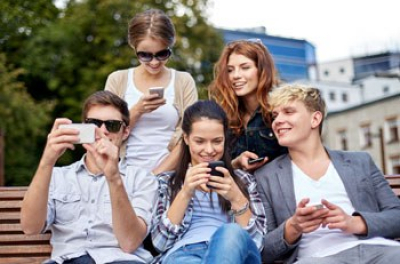 Smartphones are certainly the technological benchmark in the market today. Go back 10 years and tell me that I would be using a mobile device day-to-day, interacting with hundreds of different individuals, content pieces, emails and messages, with only one button - on a devices just slightly smaller than a remote control, and I'd have thought you were a little bit more than crazy to say the least. But, in the space of only a few years, we lost the buttons and made way to responsive touch screen displays, a game-changing revolution. So why can't that occur for the Smart Glasses? It certainly poses an interesting question. Just what place will mobile have, as we explore a future with Smart Glasses? I personally think the exciting component surrounding Smart Glasses is simple. It's the unknown. Who know's what these devices are capable of in the future, how we will use them and their effect on markets globally. By all accounts, Smart Glasses are very much capable of all things mobile related. Watching video content on the go, searching for items online, receiving messages, reading emails, the list goes on and on. The biggest hurdle though for these devices (well for the moment at least) is just how do you interact and respond to content? Will people feel comfortable buying products online, entering their bank details or clicking that virtual pay button. How do you reply to emails and SMS messages without a keypad? Is it voice activated? Is it triggered by visual movement? Maybe there will be no battle, maybe the simple answer is that Smartphones and Smart Glasses need to co-exist if they are going to work in the market. But there is one possible solution that maybe just put the ball back into the Smart Glasses favour. Holographic or augmented reality integration, like the HoloLens. Despite what you might have previously thought, Google’s Glass was never a completely immersive augmented reality device. That’s because with the Google Glass, the perception of information is independent from the angle of your head position. 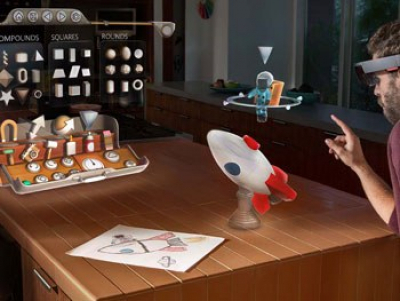 Microsoft’s HoloLens, however, is indeed an augmented reality experience, which they call ‘mixed reality’. Effectively, it will entail high-definition holograms to come to life in your world, ‘seamlessly integrating with your physical places, spaces, and things.’ There’s a video you can (and should) watch here, because it’s pretty cool, and gives a small glimpse into what our future might look like. 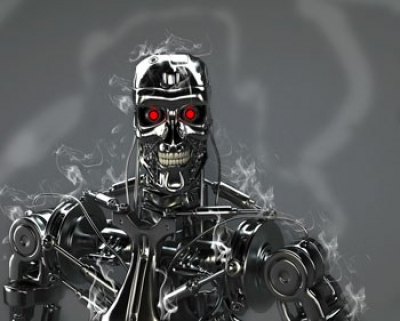 I can still remember watching the Terminator as a kid and thinking, Gee, wouldn’t it be incredible to see things as Arnie (the Terminator) does. Imagine wearing goggles that overlays your physical reality with a hologram of facts and information about what’s happening in real-time. Another layer. Another mirage. Well it looks like this is the direction we’re headed in. It seems technology is catching up with our scientific progression. Scientifically, we know that the world is made up of layers. On the macro level we see physical objects, chairs and tables and pepper shakers. But in the same way that dismantling a laptop reveals the mechanism powering it – chips and motherboards and batteries – when we chop up reality itself, we reveal the atomic structure underlying it. Augmented reality means that we will see not just what’s in front of us, but much, much more. If you thought that mobiles getting smart was going to change the way the human lives and interacts with his or her world, just try to imagine how this smart glasses technology is going to rearrange our social landscape.